THURSDAY EVENING. 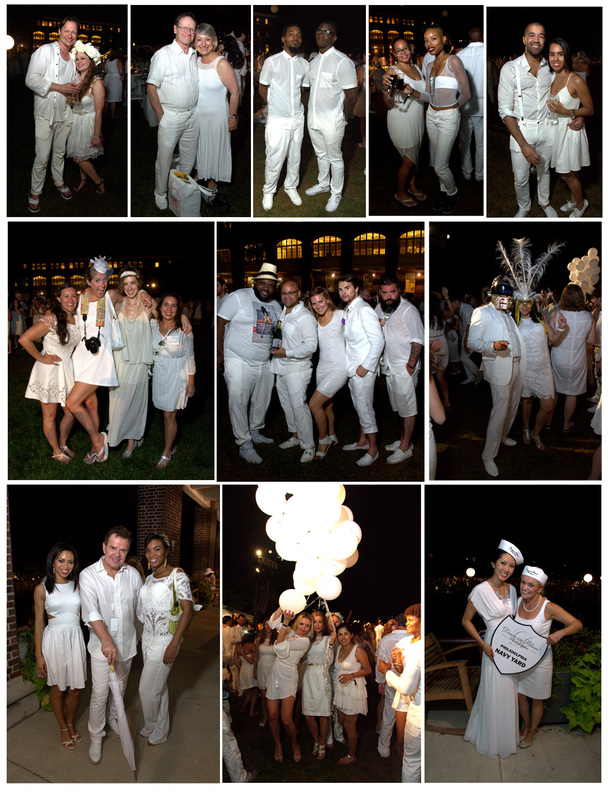 Intermittent scattered thunder cells, high humidity, 4,500 people- the Navy yard was a blast last night for this years’ highly anticipated Le Dîner en Blanc – Philadelphia 2015. 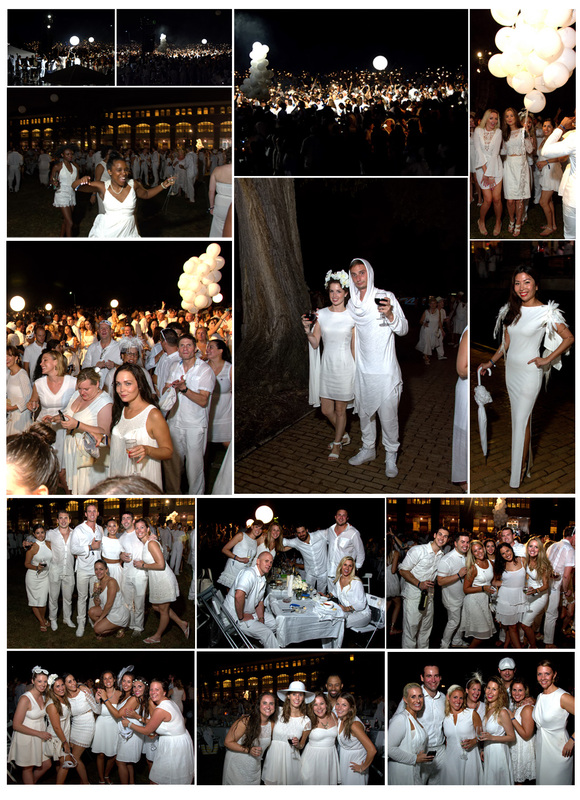 For a view of the images from this event please select this link or the “Aug 20, 2015 Le Diner en Blanc~Philadelphia 2015” album in the right column of this photo weblog. 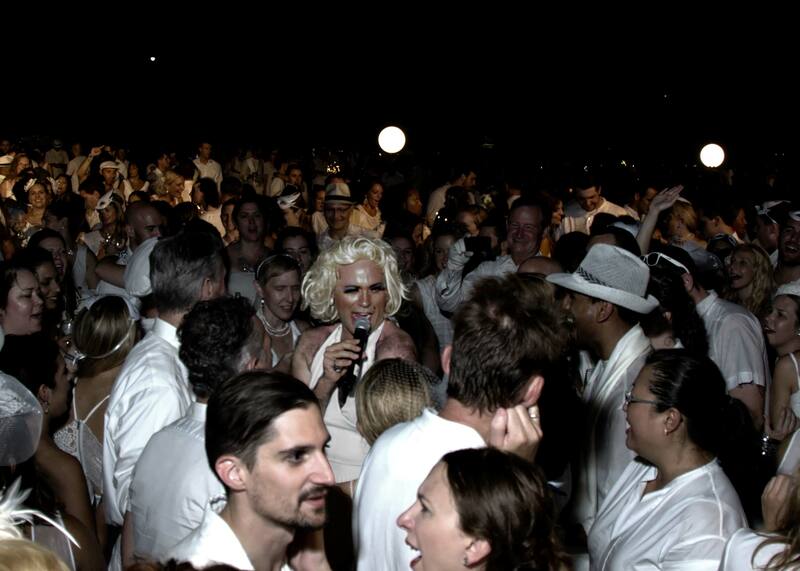 Martha Graham Cracker (Dito van Reigersberg) drove the crowd wild.